Nothing groundbreaking here, but this is in line with modern tablets and it is pushing the limits of thickness and weight which is sure to be appreciated by users. Chippy Chimes in With Sascha – Samsung Removing the Galaxy Tab 7.7 From the Show Floor? 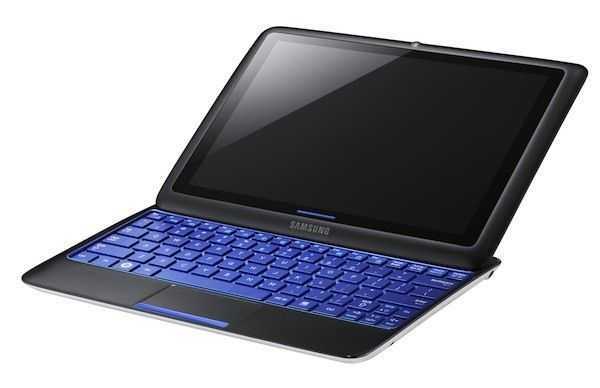 Sascha of NetbookNews joins Chippy to discuss something odd; Samsung is removing the Galaxy Tab 7.7 from the show floor. At IDF, Toshiba is showing off its second entry into the 10” Honeycomb slate category with the AT200, which currently holds the title of both thinnest and lightest 10” slate. Toshiba’s first 10” Honeycomb tablet was the Thrive which went for a utility-over-style approach. The Thrive is 16mm thick and weights 725 grams, but it also offered a range of full-sized ports such as USB and HDMI. With the AT200, Toshiba is showing that they’re just as capable as the rest when it comes to making a svelte slate. To prove it, the AT200 beats out the current champ, the Galaxy Tab 10.1 in both thickness and weight. The Tab 10.1 is 8.63mm thick which the AT200 bests by 11% at 7.7mm. For weight, the AT200 undercuts the Tab 10.1’s 564 grams by 3% at 550 grams. 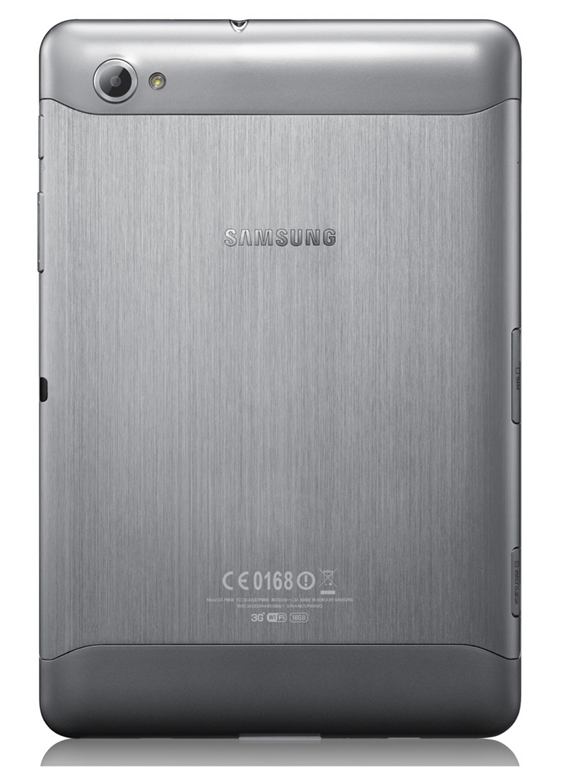 Impressively, the AT200 is even thinner than the recently announced Galaxy Tab 7.7 which is in the 7” category and has a thickness of 7.89mm. Of course, the margin for these titles is quite thin, so things could change slightly, but just enough to unseat it, by the time the unit hits production – especially when they throw 3G/4G into the mix. Toshiba says that the AT200 will be available in a WiFi-only incarnation in December, while you’ll have to wait for sometime in Q1 2012 for a data-equipped model. Pricing is not yet official and specs are quite thin at the moment, but a 1.2GHz dual-core CPU has been confirmed so far. We’ll track down full details for you though, stay tuned! Chippy goes hands-on with the upcoming Archos 80 G9 [specs sheet]. Overview of Archos’ new G9 tablets here. We’re really looking forward to Archos’ new G9 tablets, their inexpensive price and unique features are going make them a welcomed addition to the world of Honeycomb tablets. As Charbax of ARMdevices.net shows us, the TI OMAP 4460 found in the G9 tablets will run at different speeds depending upon the capacity (and the price) of the tablet that you purchase. When Archos first announced the Archos 80 G9 and the 101 G9, they were said to eventually be available in 8/16/250GB capacities, while other specs would remain the same. However, at IDF they are now showing that the 8GB variant of both models will run at 1GHz instead of 1.5GHz. The lower capacity makes sense to bring down the price even further and offer additional choice to customers. What I don’t quite understand is the lower clock speed. As far as I can tell, the 8GB model of the 80 and 101 is still running the same CPU as the 16/250GB models. Feel free to correct me on this, but I can’t think of any additional fee that would be incurred to use a different clock speed on the CPU, so I have to wonder why they are lowering the speed on the 8GB variants. My best theory is that Archos wants the more expensive models to be the most appealing, and give an additional incentive for going with one of the higher capacity units. If that’s the case, I can’t help but feel like they’re artificially giving users of the 8GB variants the shaft, though I’m hoping there is something less dubious behind it. Archos confirmed US pricing for the 16GB variants of the 80 and 101 back when they were first announced; $270 and $349 respectively, and we should see the other models officially priced soon. Charbax has the official EU prices for all models here. The G9 80 and 101 will become available at the end of September, according to Archos. Chippy is on the IDF show floor and we’ll see if he can get this question about the CPU speed answered for us. 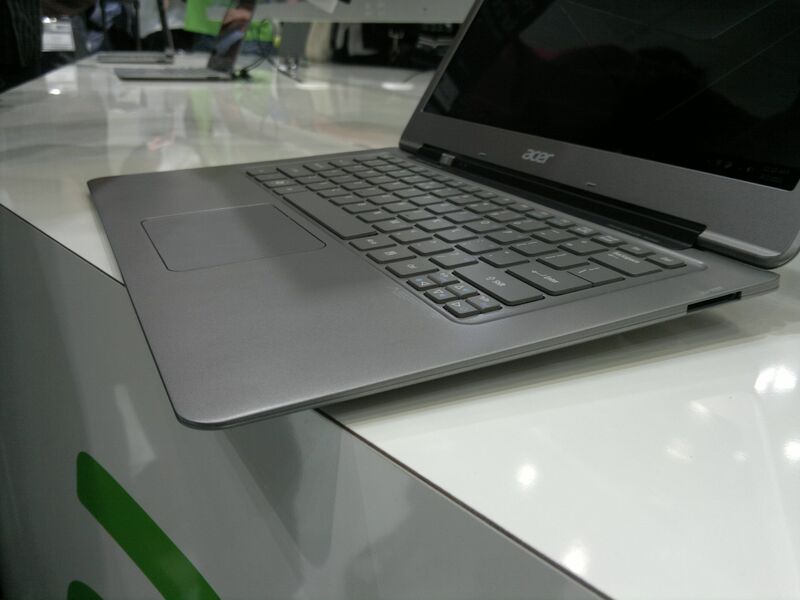 A few minutes after the Acer Aspire S3 demo devices were brought to the stand I managed to get some hands on. Check out the number of people crowded round the devices! This is important for Acer as they bellieve its the next generation of PC device growth and it was clear from the press conference that they are betting a lot of this category. As we move forward with Ultrabooks, its obviously going to be harder for manufacturers to be different. It might mean that the price becomes the most important factor, at least at the low-end of the price scale. 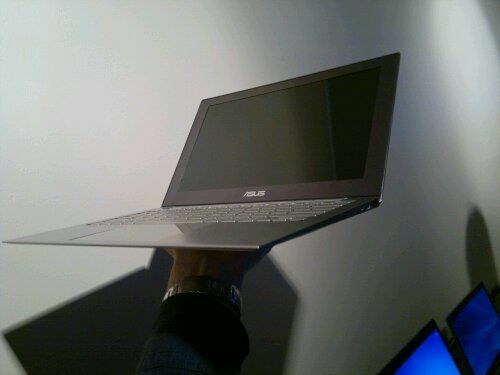 At an Intel event yesterday I managed to get some hands-on with the Asus UX21. 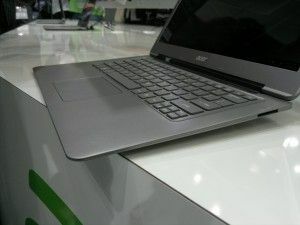 More testing is needed but given the potential pricing, this could turn a lot of heads toward the ‘Ultrabook’ brand. As you can see, the Tab 7.7 scores a ridiculously fast 1440.4ms on Sunspider which actually beats out the Onkyo TW Windows Slate that I tested a few months back by about 27%. Chippy faily notes that Chrome has improved in performance since then so just I ran Sunspider on a fairly modern Atom based netbook (1.6GHz HP Mini 311 with Nvidia ION) and the scores are comparable with the Mini 311 scoring 1336ms, putting the Tab 7.7 only about 8% away from that score. It’s about time Samsung got a true successor to the Galaxy Tab 7 out the door. Today at IDF they’ve announced the somewhat leaked Galaxy Tab 7.7, which features one of the largest AMOLED displays ever seen on a consumer mobile device. Please excuse the video title typo! The CPU has been upgraded to a 1.4GHz dual-core CPU which is apparently of Samsung’s creation, which they say can run 1080p video just fine along with DivX support; they’ve otherwise been quite quiet about the specifics so far. This sets the Tab 7.7 apart from most other Honeycomb tablets which use Nvidia’s Tegra 2 dual-core CPU which runs at 1GHz. The press release lists the RAM at 8GB, but I’m going to go out on a limb here and say that is a typo. We’re probably looking at 1GB of RAM. On the capacity side, you’ll be looking at your classic 16/32/64GB flavors with a microSD slot for adding even more. From my experience with the AMOLED display on Samsung’s Nexus S, I can say that I’m quite excited to see the Tab 7.7 in person. This is the first mobile device that I’d actually want to watch movies on. Thanks to the AMOLED technology you can expect the 1280×800 screen to have an exceptional contrast ratio when compared to other mobile devices (and even some TVs), most of which use LCD technology. The Tab 7.7 runs Honeycomb 3.2 out of the box with Samsung’s custom TouchWiz modifications, and they’ve brought the device down to an impressive 7.89mm thick and 335 grams (from the original 12mm thickness and 380 grams)! The back is made out of aluminum and the whole device does look impressively svelte. The cameras have sadly not seen a big bump in MP (just 3MP on the rear camera and 2MP on the front-camera), but it’s quite possible that the optics have been upgraded. Both cameras have sufficient resolution for capturing 720p HD video, though Samsung hasn’t clearly stated that the device will be able to record at such resolutions. It sounds like initially the Tab 7.7 is going to be released with carriers, but we may eventually see a WiFi-only version, as we did with the original Tab 7. The unit has HSPA+ connectivity, and Samsung’s press release says it can make calls, but it isn’t clear whether they are talking about true cellular voice calls or VoIP. Like the Sony Tablet S, the Tab 7.7 has infrared built-in for remote control functionality on your TV and other IR equipped devices. Samsung says that the Tab 7.7 supports something called “WiFi channel bonding” which is used for “bonding two channels into one for improved network connection and data transfer at up to twice the speed”. 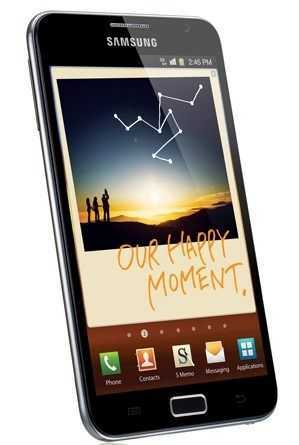 If Samsung can keep the AMOLED display from making the device too expensive, they could have a big hit with the Galaxy Tab 7.7. Samsung accidentally packed revealing information in an Android app that was being used to promote their presence at this year’s IFA. 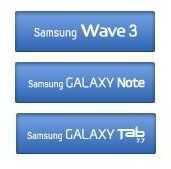 Among the information revealed is the names of three devices, the Samsung Galaxy Tab 7.7, the Galaxy Note, and the Samsung Wave 3. Presumably the app was designed to unveil that information after IFA starts on September 2nd, but someone peeked into the files and found them ahead of time. We can get the Wave 3 out of the way quickly. It is clearly a successor to the Wave 2, a phone running Samsung’s own Bada OS. 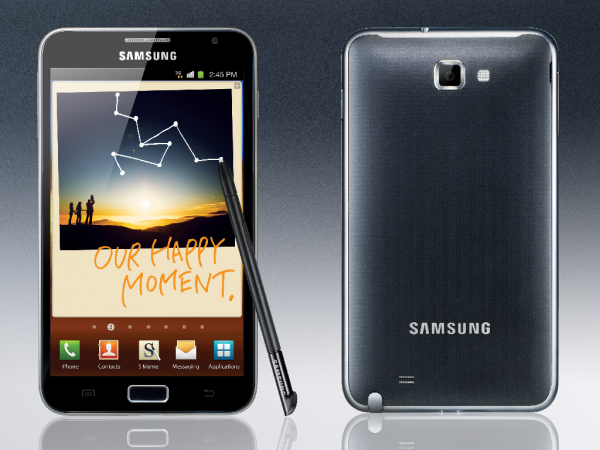 More exciting and relevant to us are the Galaxy Tab 7.7 and Galaxy Note. I’ve been watching, with great curiosity, for the sequel to the Galaxy Tab. 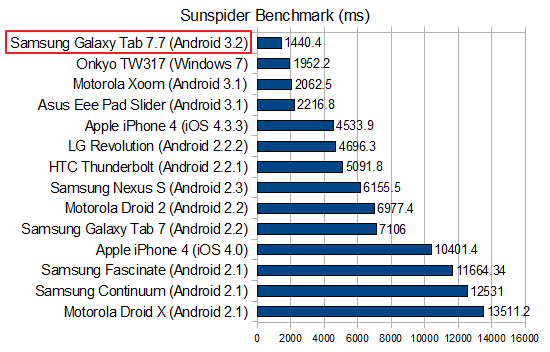 By some accounts, the original 7” Galaxy Tab may be the best selling Android tablet to-date, even if it isn’t running the tablet-optimized Honeycomb. I’ve been hoping that the ever-handy 7” size of the Galaxy Tab 7 wouldn’t be left behind in favor of the Galaxy Tab 8.9 and 10.1. It looks like Samsung will answer those hopes at IFA… but not without adding 0.7” to the screen size. 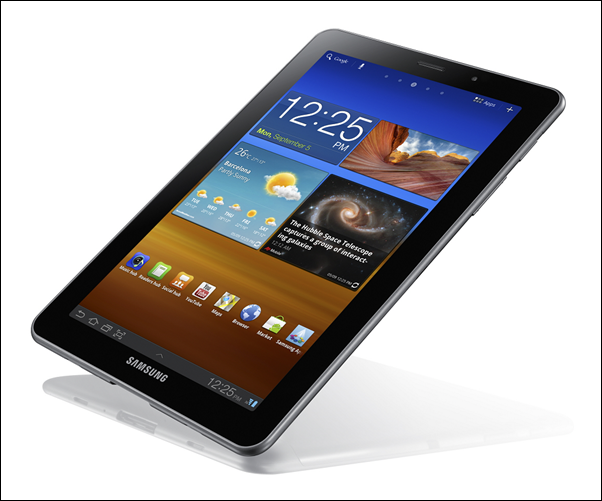 Samsung had announced, not quite a sequel, but an enhanced Galaxy Tab 7” back during CES in January. This device was going to have a slightly faster (higher clocked) CPU, an upgraded rear camera, and Verizon’s 4G LTE connectivity. Oddly, this device never made it to market (even though the WiFi-only Galaxy Tab, announced along side it, did). While it hasn’t been officially canned by Verizon or Samsung, I think it’s safe to say – 8 months after its announcement – that Samsung has moved on to release a true sequel rather than a ‘1.5’ device. Several months after that announcement at CES, while the device failed to materialize in physical form or advertising, we began to see rumors of a dual-core CPU that might go with a new Galaxy Tab 7, and it’s probably safe to say that Samsung will not release a new Galaxy Tab without a dual-core CPU (considering that the Tab 8.9 and 10.1 are both dual-core). 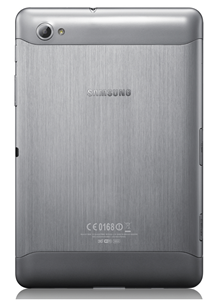 Now we can’t help but say that the new Galaxy Tab will use a 7.7” screen, as the naming convention can’t be ignored. This means that Samsung will be using an entirely new display in the device, causing many to speculate that it will be one of the famous Samsung AMOLED displays. While SlashGear does point out that Samsung demonstrated a 7” AMOLED display at a conference last November, it still may be too expensive to include in a consumer targeted device at this time. What we may see is a pixel-dense 1280×800 7.7” display, or maybe Samsung just wanted a slightly larger display with the same 1024×600 resolution as the original Galaxy Tab 7. On the topic of the operating system, I actually prefer Samsung’s customized Android 2.2 that is used by the original Galaxy Tab 7 over Honeycomb. Though I usually hate Android skins, Samsung’s implementation for the Tab 7 actually did a great job of making the phone-oriented OS into a useful tablet interface. Leaked photos show the four classic Android buttons that are found on phones (and on the Tab 7), so our bet is that the Tab 7.7 won’t see Honeycomb, but will instead end up with a custom 2.2 or 2.3, or perhaps it would be the perfect candidate for Ice Cream Sandwich, which Google says is going to bridge the gap between the tablet and the phone versions of Android. It should be noted that the inclusion of the four capacitive Android buttons on the bezel does not necessarily erase the possibility of the device shipping with Honeycomb. After all, the 7” Acer Iconia Tab A100 has a home button on the bezel, even though it ships with Honeycomb. As for the release date, I’m sure we’ll get more info soon, but it doesn’t hurt to use that handy leaked Verizon roadmap where we can. One of the devices on that roadmap is something called the “Galaxy Tab P8” which is likely to be either the Galaxy Tab 8.9 or the Tab 7.7. The device is listed for a November 1st release, which is only about two months away! One might jump to note that 7.7 is closer to 8 than 8.9, but this likely has little do with the size and more to do with the product model number (for instance, the original Tab 7 is the P1000 range, while the 10.1 is the P7000 range). The P8000 range could be the 7.7, or the 8.9, (or any unknown device for that matter), we just can’t say for sure at this point. Now this is where it gets fun. We know little about what Samsung’s Galaxy Note is, but there’s room for exciting speculation. My money is on a 10.1 Honeycomb device with a sliding form-factor like the Asus Eee Pad Slider, and I’ll tell you why. We saw something exactly like this from Samsung at CES, except it was running Windows 7. It was said to become available in March but, like the enhanced Galaxy Tab 7 (also announced at CES), it conspicuously disappeared, and I’m betting it has been transformed into an Android device. Chippy wrote about the sliding Samsung Windows 7 computer on UMPCPortal in January noting “I like the design but I’m also seeing a 1KG Windows tablet which is just a little too heavy and not running the right OS for some of the consumer tablet scenarios that are taking off”. That was 8 months ago, but Chippy may have hit the nail on the head. A trusted anonymous source tells me that they have seen a sliding prototype much like the Windows 7 Slider from Samsung, and they saw it after the Windows 7 slider was shown. 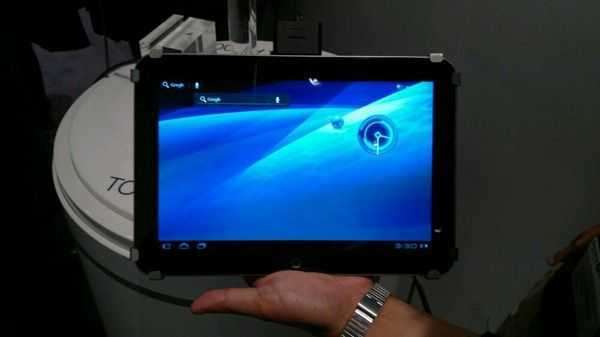 Among other things, the prototype was slimmer than the Windows 7 slider and the screen slid up to reveal a full keyboard and trackpad. If this prototype made it further through the design process, it may be just what Chippy was looking for; a lighter device with a tablet-optimized OS. Considering that the Windows 7 version vanished, this may very well be the case. I’m hoping that the Galaxy Note is indeed a slider as I totally dig the form-factor. IFA begins September 2nd and Chippy is on the scene, which means you should definitely keep your eye on Carrypad for hands-on and plenty more info on both of these devices and plenty of others.